The first thing I do every morning is…well, the first thing is I get dressed. But after that, the first thing I do every morning…well, okay, I usually make the bed. Sometimes I’ll make the bed before I’m entirely dressed. You know what? 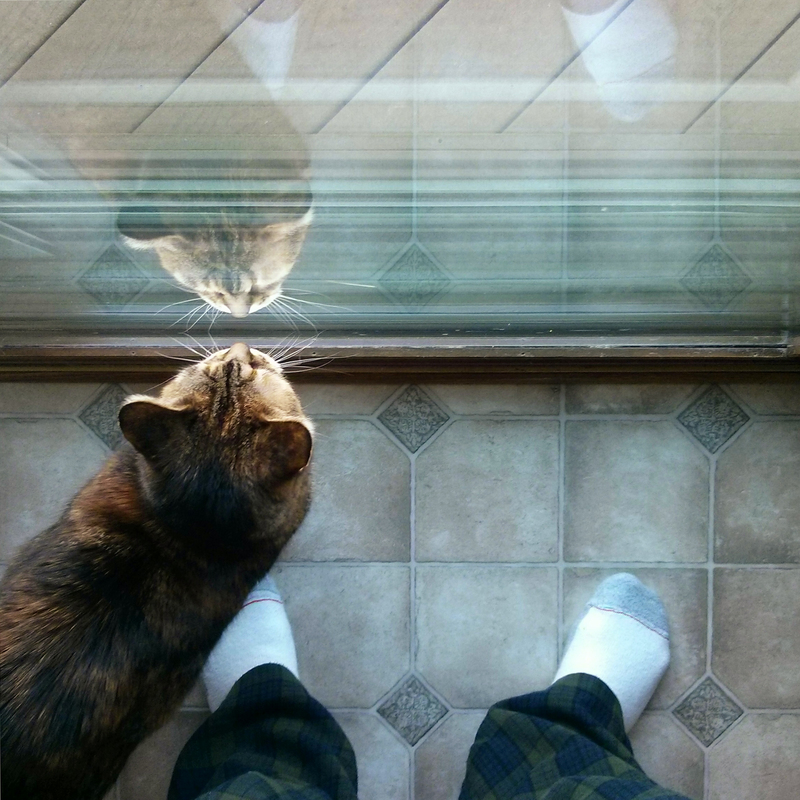 It turns out there are maybe have a half-dozen picayune things I do first thing every morning, including stretching and putting on socks in the colder months and greeting the cat, who is usually waiting for me. None of those things matter for the purposes of this post, honest. Here’s what matters. The first thing I do every morning is check the perimeter. When I say “check the perimeter” I basically mean I look out the back door. I don’t know why; it’s a habit. The cat almost always joins me for that. 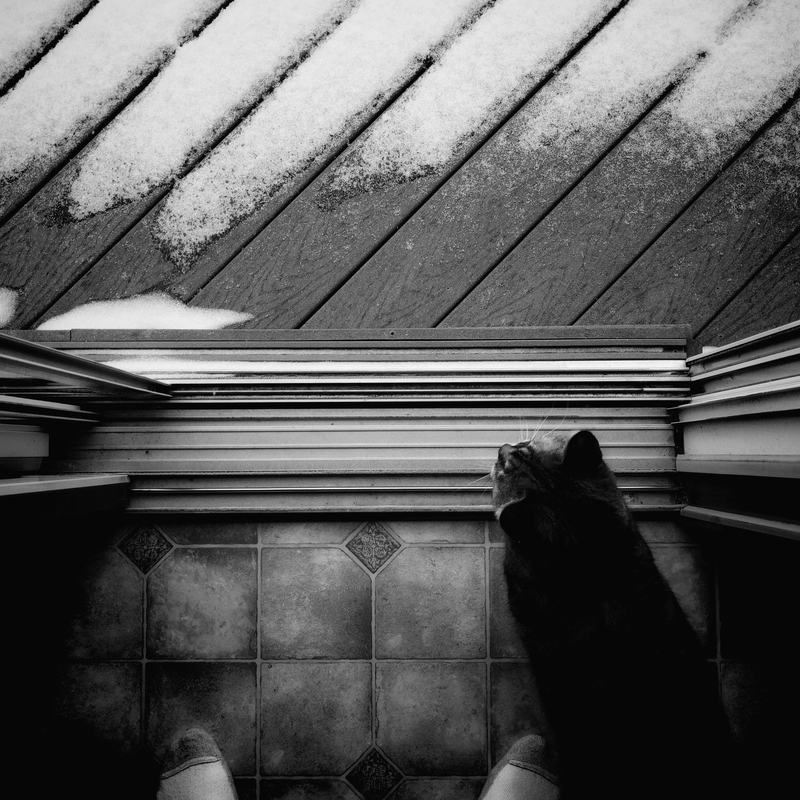 She stands beside me and we look out the door for a long moment. Sometimes I’ll step outside for a better look. 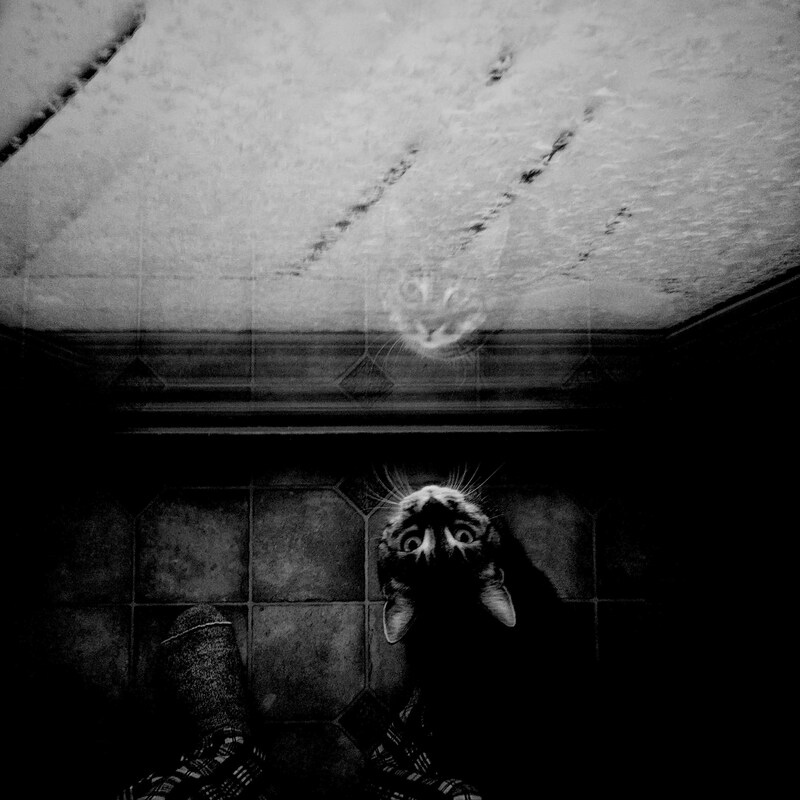 The cat may step out with me, or she may not. I’ve no idea what her criteria are for this decision. It occurred to me yesterday morning that the cat and I have been doing this for three or four years. 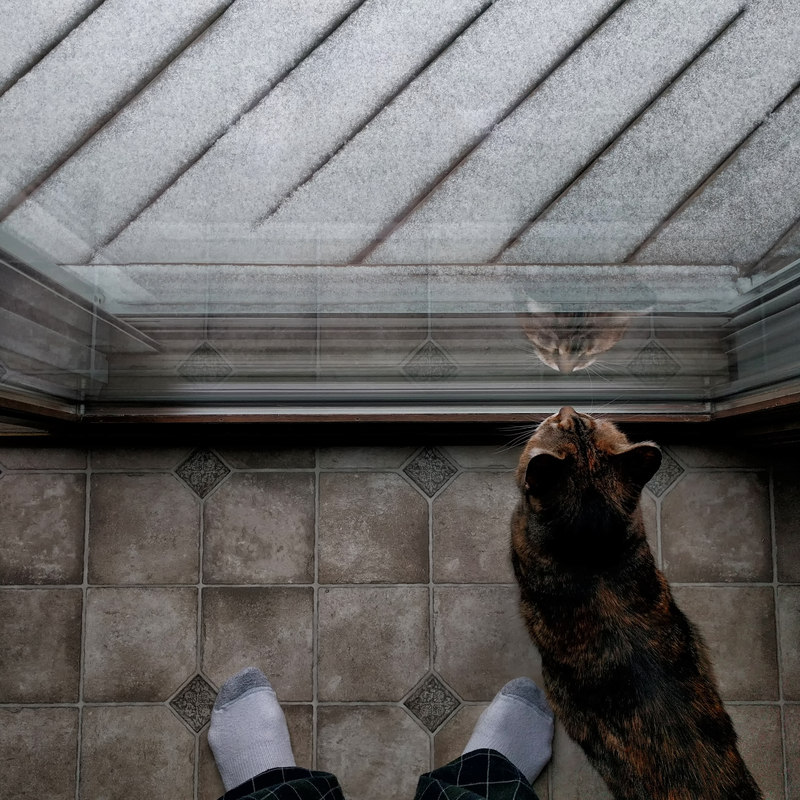 Every day, me and the cat, checking the perimeter. And I realised I might have created a photo project without being aware of it. I’m not terribly fussy about backing things up on my computer, I’m afraid, but I figured Google Photos would likely have saved some of those photos I shot with my phone in the cloud (at least the ones I didn’t delete immediately). And hey, bingo, what do you know, they did. Eighteen photos altogether. 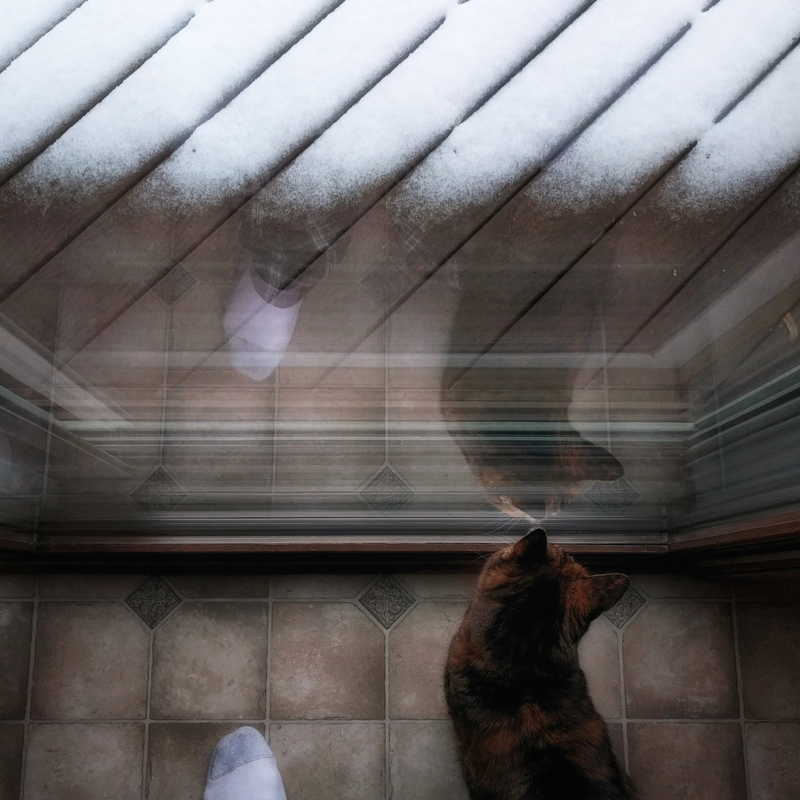 My feet, the cat, the door. I’d have guessed there would be more, but as I say, I usually delete the photos immediately – even before Google has a chance to back them up in the cloud (I hate saying “the cloud”). I delete them because I’ve shot the same photograph so often. 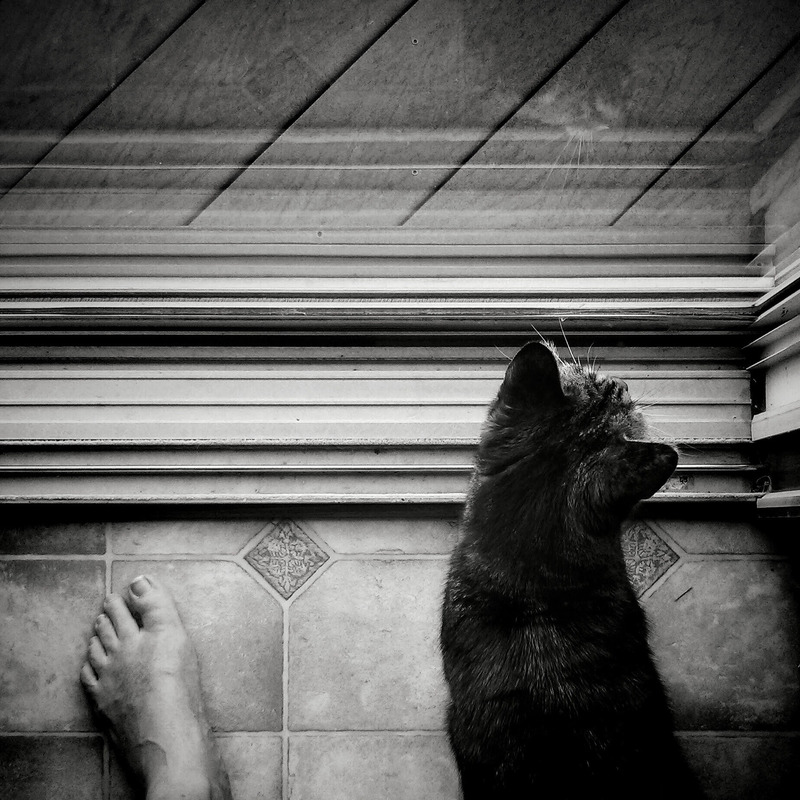 How many photos does a person need of his feet, a cat, and a doorway? Fewer than eighteen, probably. 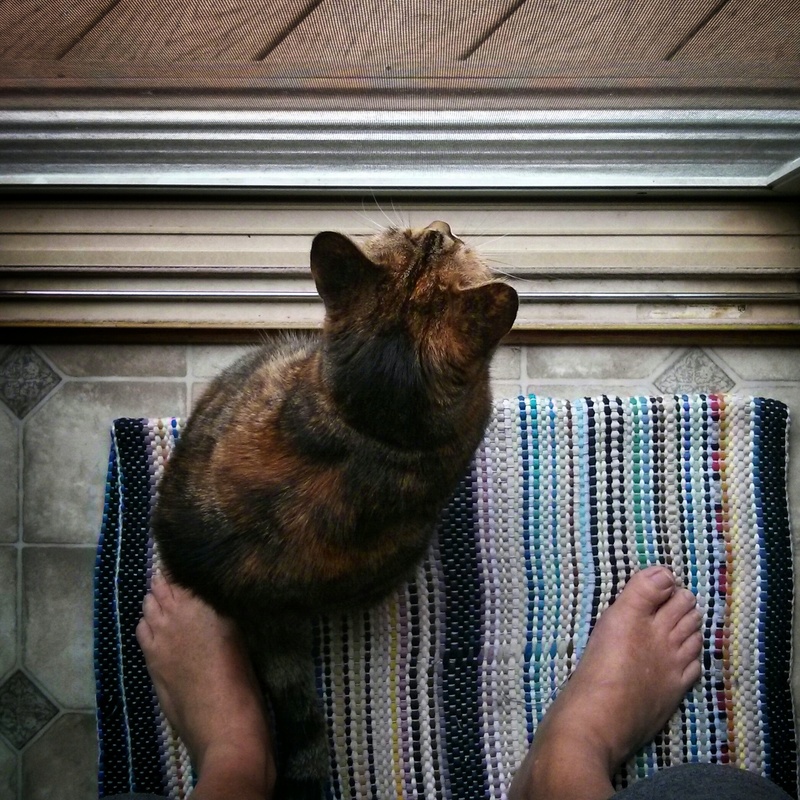 Actually, there were a lot more than eighteen photos of my feet, the cat, and the door. Google Photos is pretty damned efficient. 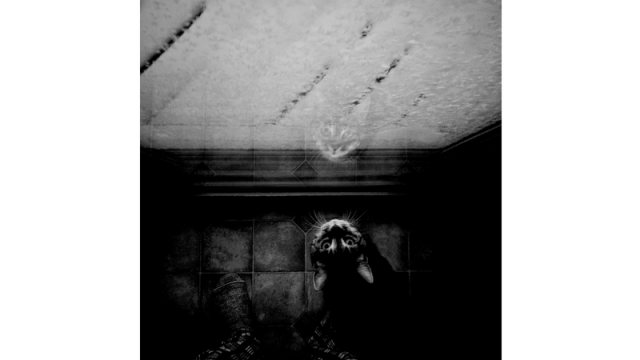 But there were only eighteen in which the cat wasn’t moving or that didn’t include distracting crap like the edge of a dustpan or the intrusion of the leg of a stool. So let’s just say eighteen “acceptable” photos, shall we? Some of the photos are in colour, some in black-and-white. It all depends on which camera app I happen to choose to open on a given morning. I’m the sort of guy who has (okay, I had to stop typing to actually check and count them) six camera apps on his phone. Six. Two of which are dedicated black-and-white apps. Oh, and a video app that I’ve never used. Why so many camera apps? Damned if I know. I’m sure I have a good reason. It turns out there’s a flaw in the whole innocent accidental photo project. The flaw is this: it’s innocently accidental. Which, of course, is also what makes it (to me, at any rate) interesting. It’s a flaw, though, because the innocent accidental quality means I didn’t save a single photograph of the cat, my feet, and the doorway in the entire year of 2017. 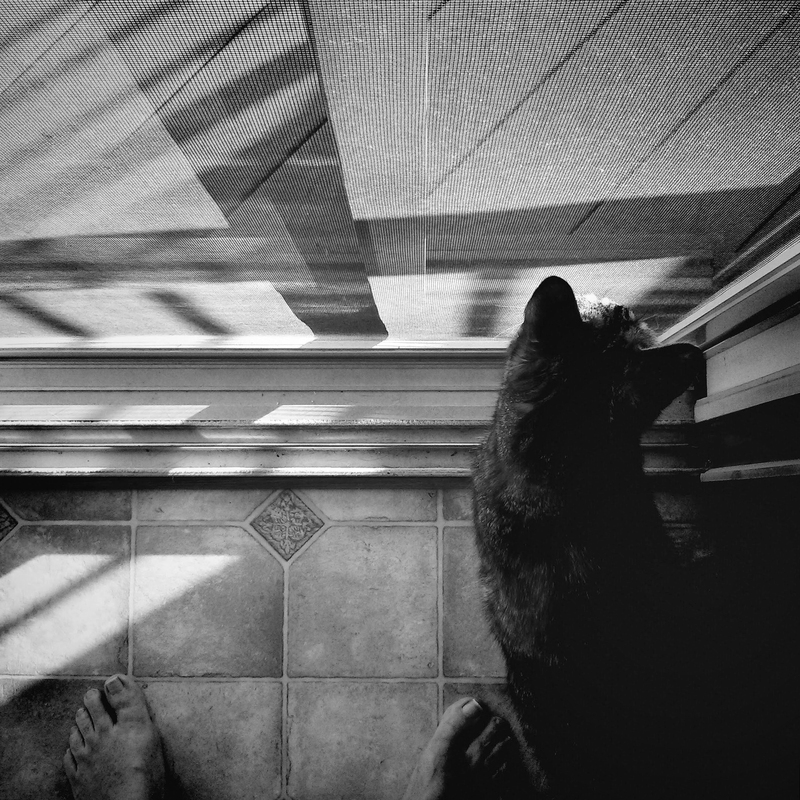 Lots of photos of the cat, of course, and an alarming number of photos that include my feet, plus a few photos that include the doorway, but none of all three together. None. In all of 2017. And yet I already have two this year. Go figure.